You talked, we LISTENED! – with an average of 30% purchase rate funneling through PayPal, why not let them subscribe with PayPal?! – Rebillia now allows your customers to subscribe to product purchases on your store using their PayPal accounts! Wondering if Rebillia will fit to your business? Take a look at our impact areas and see how Rebillia will help your business. Gain an average of +27% Orders with +16% Converstion Rate! Frictionless checkout, with Rebillia: Saved Credit Card, shopping was never easier! A seamless integration providing Enterprise level solutions. 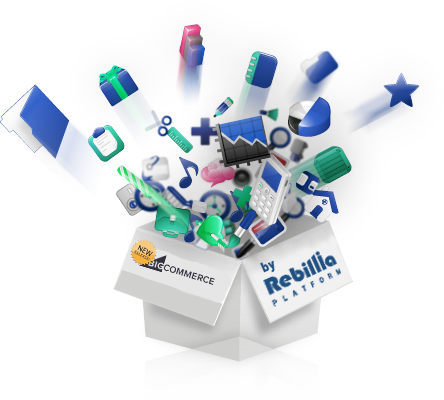 Use Rebillia to unleash new functionalities in your BigCommerce store. Approx. 35% of all online orders are declined, and about 60% can be converted! Use Rebillia to track those ‘Soft Declines’ and convert them into additional revenue! Don’t let current functionality limitations impede your business. Learn how Rebillia gives you control and helps you manage sales. Subscription functionality is now available on BigCommerce! Be among the fist merchants to offer subscription billing and recurring orders on your store. Dealing with online cardholder information requires a secure framework to accept, store and transmit data over the web. Rebillia Platform exceeds PCI-DSS requirements and provides PCI compliant services to merchants around the world. I would start with service – these guys are amazingly responsive (and oftentimes funny). They have blown away our expectations on all levels of service. Since our company is built on “service and wowing customers” we are naturally inclined to do business with those that care about service as deeply as they do. As far as the features of Rebillia – since implementing we have decreased our churn rate and increased our overall retention rate substantially. Their subscription service is a game changer for those of us who need to keep up with the likes of Amazon. Offering a subscription service to our offering has not only delighted our customers but has helped us manage our business more effectively. You wont be disappointed!